The Changing Faces Women’s Leadership Seminar was established in 2002 by the East-West Center to address the challenges confronting working women entrepreneurs in the Asia Pacific. 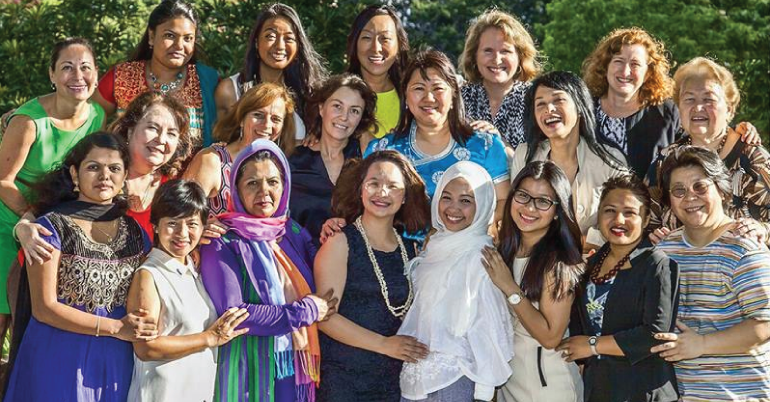 This 12-day immersive, leadership and professional development seminar is designed for innovative women entrepreneurs from Asia, the Pacific, and the United States to enhance their leadership skills and entrepreneurial capacity; experientially explore innovative entrepreneurship, leadership, and community examples; build a sense of self-efficacy; and expand national and regional networks. To date, 185 women from 34 countries have participated in the Changing Faces Seminar. The Changing Faces Women’s Leadership Seminar focuses on the important role that innovation and entrepreneurship play in contributing to economic growth, job creation, and strengthening communities. During this 12-day professional training, dialogue, and travel program, participants engage in a series of workshops focused on leadership and entrepreneurship that are facilitated by a noted women’s leadership trainer and the University of Hawaii at Manoa. Participants also expand their knowledge of entrepreneurship, economic growth, leadership, and community building through carefully selected field visits and meetings with experts, practitioners, business owners, and policymakers in Hawaii. Participants are individually matched with local women leaders in a Host Mentor Program and, in return, Changing Faces participants act as mentors for a select group of high school students in a Next Generation Service Project. The Changing Faces Seminar also provides training and consultative sessions to help participants develop and actualize a concrete Action Plan for the betterment of their business or their community. Finally Changing Faces women serve as panelists, moderators and attendees at the publicly ticketed #galswithLEI, a purposeful, collaborative, and dynamic forum. The Changing Faces Seminar targets female business owners and social entrepreneurs who have demonstrated leadership and ability to affect change and influence others in their communities. 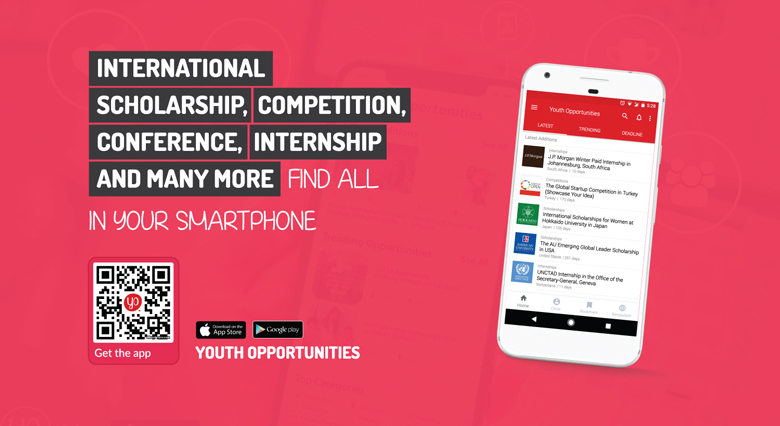 Innovative entrepreneurs, business managers, government and industry policymakers, and civil society leaders with at least seven years of work experience and who play a leadership role in their community are eligible to apply. Innovators may generally be defined as those who have created an original idea or product or are recognized for their ability to improve upon an original idea or system. Applicants must have the ability to communicate in English in a professional setting. Preference is given to candidates with limited opportunities for international exchange and professional development as well as those who offer to cost-share programmatic costs. Eligible Regions: Afghanistan, Australia, Bangladesh, Bhutan, Brunei, Cambodia, China, East Timor, Federated States of Micronesia, Fiji, Hong Kong, India, Indonesia, Japan, Kiribati, Laos, Malaysia, Maldives, Marshall Islands, Mongolia, Myanmar, Nauru, Nepal, New Zealand, Niue, Pakistan, Palau, Papua New Guinea, Philippines, Samoa, Singapore, Solomon Islands, South Korea, Sri Lanka, Taiwan, Thailand, Tuvalu, Vanuatu, Tonga, United States, Hawaii, and Vietnam. All applicants must complete an application form. Remember to save the PDF form to hard drive before filling it out. Identify an actionable goal for either for his/her organization or community that he/she wishes to work on and outline the role s/he can or would like to play in achieving that goal. *NOTE* This will serve as the basis of his/her Action Plan for the coming year. Two Professional Letters of Recommendation describing the applicants’ suitability for the Seminar. The letters should be signed and on letterhead.